Èkó Samba performs at Rhapsody for World Cup opening! On Thursday 12th June 2014 Èkó Samba Community was invited to perform on the opening night of the World Cup 2014 at Rhapsody in VI, Lagos. With the Brazilian hosts taking on Croatia in the opening match, energy was high and the great atmosphere quickly spread to Lagos. The samba vibes were truly contagious and the kids enjoyed performing to an enthusiastic crowd who were transported to Brazil with each beat of the drum. We look forward to our next performance at Rhapsody (Ikeja location), on June 16th when Nigeria will play their first World Cup match against Iran. 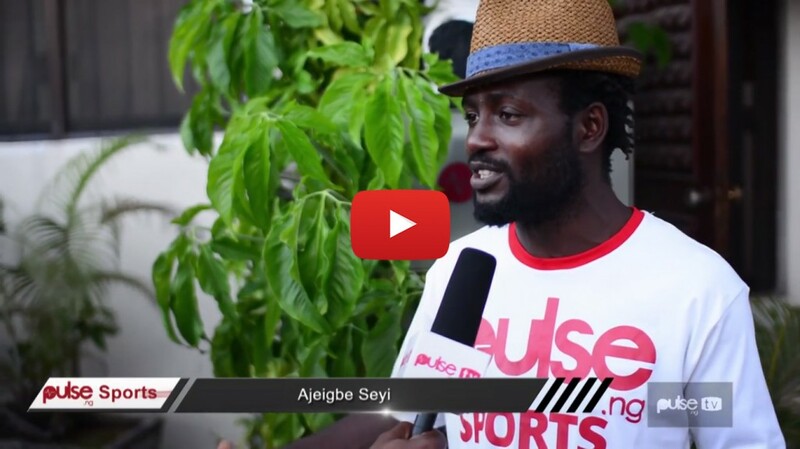 On 9th June 2014 the Nigerian Entertainment site, Pulse invited Èkó Samba Community to perform at their launch of Pulse Sports for the World Cup 2014 in Brasil. This was an exciting opportunity for ESC to perform a short set in preparation for the upcoming gigs they have lined up throughout the World Cup. 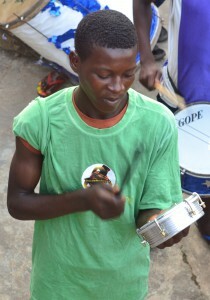 It was also great exposure for the kids involved and the project as a whole. You can Help our cause by donating here. Èkó Samba @ Art X Live! Please donate and support our ongoing work with the Ékò Samba Community.